The responsibility for Litter Bins on the highway and footway lies with East Herts District Council. They provide the bins and the Parish Council have a contract for collection. 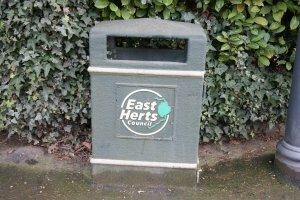 The responsibility for providing and emptying Dog Litter Bins is the responsibility of East Herts District Council.